BuzzFeed released a huge story that claims they have sources in the know that told them Mueller has the goods on Trump in that he explicitly directed Cohen to lie during Congressional testimony. That is an indisputable crime of the level of probable removal from office if true. The rest of the media goes cray cray over the story. Yes, they made disclaimers about not being able to independently confirm the story, but they were all too eager to tear into the raw meat. We, at TNB, joined in on all of the wild speculation on what was about to occur. We debated on how we should present it in an “official” post and the result was a story about it, making clear that it was a rumor and not yet confirmed. We stand by that decision and by the way we handled it, keeping in mind that TNB is mainly a blog site that talks about what others are reporting…we are not an original news source. In that regard, I fully believe we handled the situation responsibly. Lenny, the smart guy that he is, posted a comment warning us all not to get too carried away with it, as one of the reporters on the story has a shady background. His warning turned out to be very prescient. He was mainly concerned about Trump and his Trumpists would use it to further the narrative of FAKE NEWS and bolster their arguments. Again, he was right to be concerned. A couple hours after Lenny raised those concerns, sure enough, the Mueller team put out a statement that disputes something about the story. What, exactly, is not totally clear. The Trump supporters reveled in the glow of the statement from Mueller and claimed, as usual, that it proves the whole FAKE NEWS thing and that the story is now totally debunked and it was obviously completely made up fiction by BuzzFeed. Trump, of course, joins in with that, acting as if he has been completely exonerated, reiterates his FAKE NEWS and “the enemy of the people” nonsense, and again claims that it proves how much of a hoax the Mueller investigation is. BuzzFeed, meanwhile, is standing behind their story and their sources 100% and is asking Mueller to clarify exactly what part of the story he is disputing. Mueller is extremely unlikely to do so. We go round and round. Those who oppose Trump(ism) hear some news that they are sure is the final straw that will take down Trump. They rejoice. Then we hear conflicting news that the Trump supporters claim totally vindicates them and exonerates Trump. They rejoice. The country is further divided. The rancor is increased. Tranquility suffers. After the whirlwind of this latest cycle, we’re back to where we were. Nothing has changed. It all hinges on Mueller. Why did Mueller make the statement that he did? Because it is not clear what this means, the rampant speculation ensues. Trump and his Trumpists claim it means the whole story, and by extension any negative story about Trump, is simply FAKE NEWS. Anti-Trumpists are left not knowing what to think. This makes me wonder what the point of the Mueller statement was. If it was to totally discredit the story, I would think he has a duty and obligation to clearly do that. I think he’s smart enough to understand what a statement like this will do. So, what’s the deal? My working theory is that Mueller was pissed about this story because it makes it appear that some Federal investigators on his team are leaking some extremely sensitive information. If he allows that perception to persist, it will boil over and completely derail his entire investigation. So the purpose of the statement was mainly to dispel that. To make it clear that his people were NOT the sources in the story. How do you do that without confirming or denying the crux of the story? With a vague statement such as the one he put out. 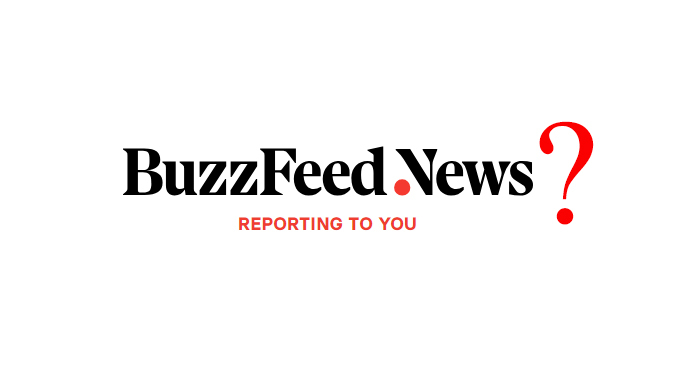 Was BuzzFeed wrong to publish the story and what is their responsibility now? This is a difficult question because none of us have all of the information that they have. The big piece that we are missing, and what the entire story hinges on, is who the sources are. They know. We do not. If it turns out that their sources are such that they should never have been relied upon for such an explosive accusation, then heads should roll at BuzzFeed. If it turns out that either or both of the reporters on the story were deliberately misleading, or even made the whole thing up, heads should roll. Of course the story should never have been run under those circumstances. But what if the sources are legitimate, solid sources that would definitely be in the know? Journalists can only be expected to report on what their sources reveal to them, so as long as they are diligent and properly discerning about who their sources are, I don’t think they can be faulted if the sources are wrong or misleading. Again, I reiterate, it all hinges on who those sources are. So, BuzzFeed is standing behind their story and the quality of their sources. What should they do now? In light of the Mueller statement, I think it’s incumbent upon them to reengage with their sources and determine what, if anything, needs to be addressed. Did the sources lie to them? If so, do those sources still deserve protection or should their identities be released? Are they sources that really are not in a position to know the things that were reported? It would be the duty of BuzzFeed to make that clear, if so. After speaking with the sources, I think they need to write a follow-up story that clarifies things and makes their process more clear. If they are 100% confident in their reporting, they need to do more to explain and reveal the evidence that they have gathered. In the end, we are back to waiting…waiting for Mueller. And every day we have to wait, the country is divided that much more. On the one hand, I would think that if Mueller has anything solid of serious wrong-doing by Trump, he’d have come forward with it in order to not allow Trump to have any further power and risk more damage. On the other hand, I think if he has charges that are serious enough to take down a President, then he needs to dot every “i” and cross every “t”. So we wait. For Mueller. And in the meantime, we endure the ranting and nonsense of Trump’s twitter feed and rambling comments.